How lucky was the 2014 TdU, sandwiched between 2 weeks of skin blistering energy sapping weeks of heat. I’m not sure we would have had the Jay Weatherwall’s quoted 2,766,000 crowd had the TdU been 1 week earlier or later. A great tactical full team effort by Orica Green Edge to get their man Gerro over the line. 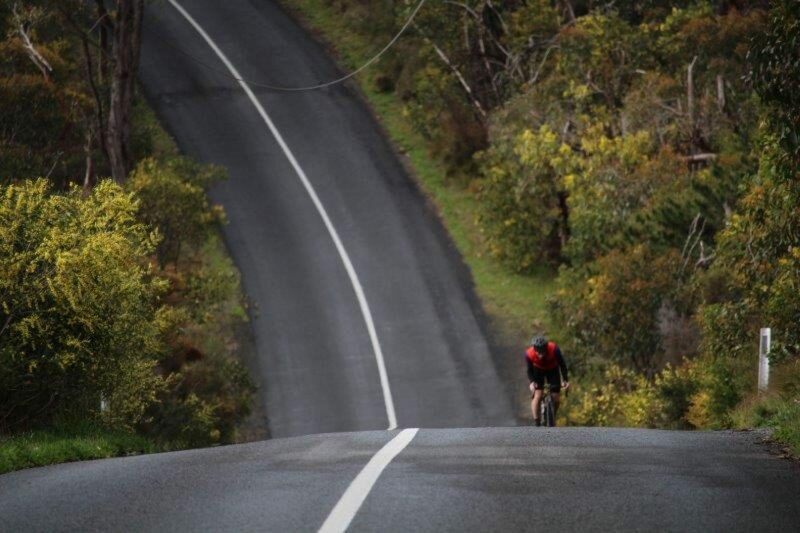 But wasn’t it fantastic to see some of Australia’s best riders in Cadel and Richie giving their all on the roads that we are familiar with and perhaps take for granted. Some of the web/blog sites I have been following over this last week are worthy a mention. Manual for Speed – An American perspective on our sunny climate, culture and cycling. Piss funny. Cycling Tips – I’ve been a regular follower of Wade for some time now. Doug Report – Not a specific site as such but provides links to posts on other sites on a rolling update basis. Some months back I briefly spoke about a site called veloviewer. Veloviewer is a personal endeavour that links into and extracts Strava data data and cuts and dices it into some quite amazing info-graphics. I had an opportunity to delve deeper into the offerings, and was surprised by what I found. On first fire-up, it connects into and extracts all your strava data, and I mean all. Without boring you with all the details, you must have a look at this site yourself to appreciate what this site can offer. Total count – you can see that you can cut’n’dice for distance/elevation/time and count. I can compare what I how this year is going compared to previous. In 2013, I finished the 3 peaks ride, but didn’t start using Strava till early Feb. I know what training I did and what I should be doing this time around. i can use this as a quick visual grab to see how my distance and elevations are travelling in the lad up to this years 3P. Probably more satisfying my curiosity than serving any specific training purpose is the activity wheel. Cutting and dicing is doe on a time scale. The graphic below shows the last few months worth of rides. You can cut and dice any ride uploaded onto Strava, cut and dice down to segment lengths. I think its absolutely brilliant. Below are random tweeted photos from attendees at the TdU.